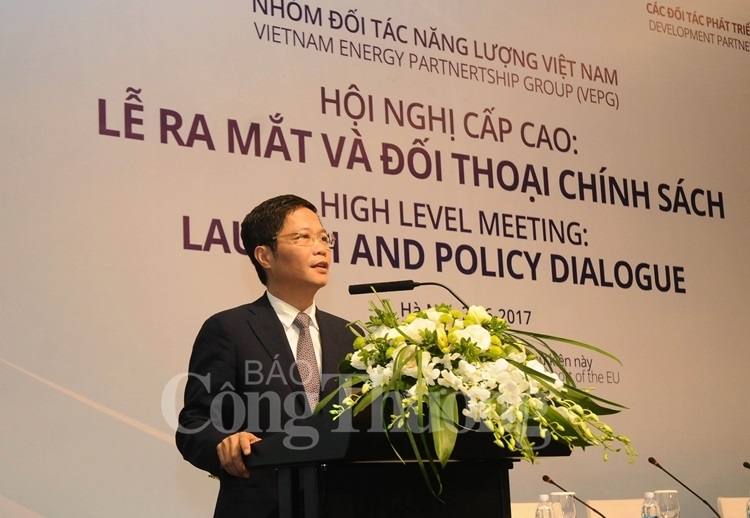 On June 21 in Hanoi, the Ministry of Industry and Trade (MoIT) and the EU Delegation to Vietnam organized a high-level meeting to present the Vietnam Energy Partnership Group (VEPG) . This is an opportunity for the MoIT and development partners share views on developing the energy sector in Vietnam. 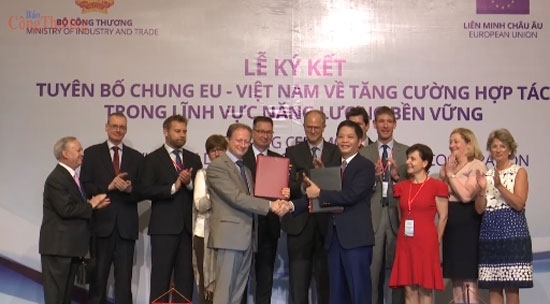 Head of Delegation of the European Union to Vietnam Bruno Angelet affirmed the EU’s commitment to assisting Vietnam in building a sustainable energy sector. He said " "Sustainable energy development is a key target of the Vietnamese economy, and we committ to help Vietnam address this challenge, which requires a comprehensive approach that takes into account the socio-economic development goal of the country. " Addressing the opening ceremony, Minister of Industry and Trade Tran Tuan Anh stressed the importance of the energy group, adding that it would establish a mechanism for deeper and wider cooperation. It would also help Vietnam attract resources, boost effectiveness of high-level policy consultations, and implement energy security goals and sustainable growth commitments, he stated. Later, Ambassador Angelet and Minister Tran Tuan Anh inked a letter of intent on continuous collaboration for green energy in Vietnam. The pact reiterated strong support of the EU for Vietnam to ensure affordable and sustainable access to energy for all people and design urgent measures to tackle climate change impacts. The event drew the participation of more than 100 representatives from State agencies, financial institutions, non-governmental organisations and Vietnam’s development partners.